Now, companies always file patents for technology that may never get made, but an autonomous police cruiser seems like the logical conclusion to the development self-driving cars. But damn is it weird to read about. There’s a number of other ideas in the filing that stand out: For instance, say a car runs a red light. “There may be [a] surveillance camera ... as well as [a] roadside sensor (e.g., camera), each of which may detect violation of one or more traffic laws, by vehicle,” the filing says. 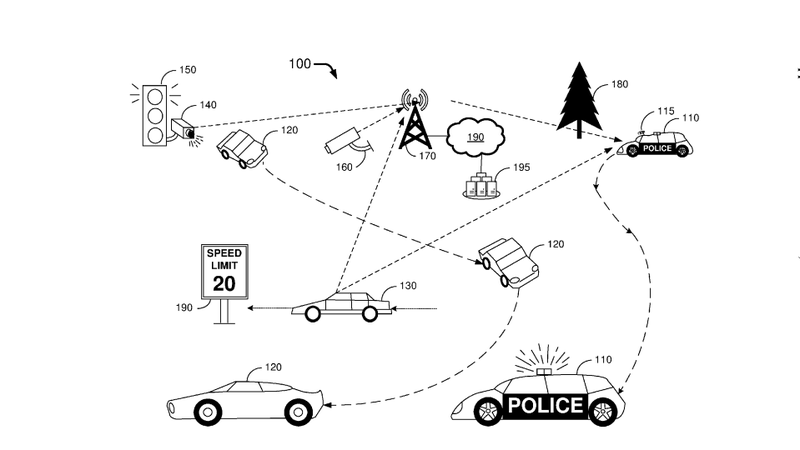 That camera or sensor would then transmit a signal to a central computing system, which would then transmit a signal to the autonomous police car to spring into action and catch the scofflaw. All of which is to say: Yikes! Of course, this is something that’s decades, if ever, from coming reality—but it sure is wild to see put to paper.